In 2015, a passionate team, driven by Geneviève Flaven, the author, director and producer of the play 99 women built a dazzling, dramatic creation, combining theatre, choreography, music and photography. Three performances took place in Shanghai in October 2015, where 99 actresses gathered. They were Chinese, French, Iranian, African, Italian… all shared their destiny for a while, and aimed to celebrate “being a woman” in their singular way. Not only did the play find its audience; it was also praised as a high quality production, a “touching performance”, a “dynamic and skillful creation process”, and most of all “a very innovative play”, “cultural, non-business driven and focused on humanity”. The objective of the play – to reveal the unique identity of every woman – echoed the concerns of the public, whether people were spectators, sponsors, new to or already part of the project. 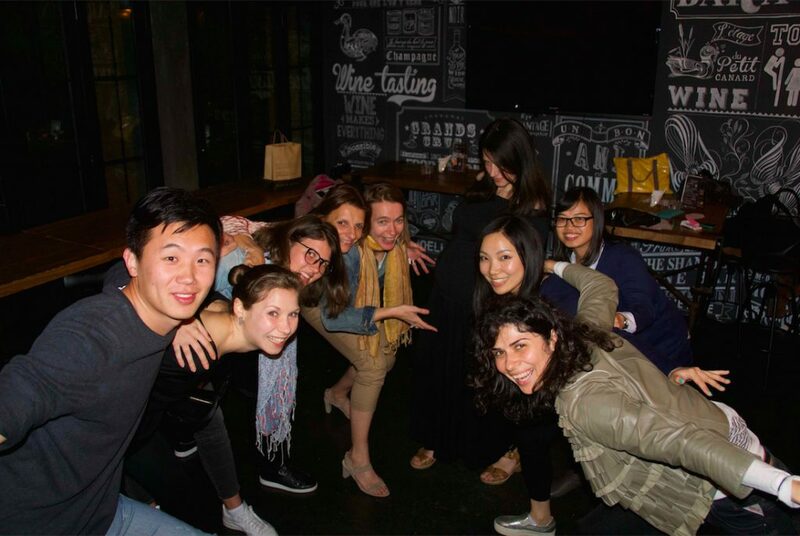 With a creative team, and with the strong support of La Ruche –the French network of active women in Shanghai – women stood and worked together to produce 99 women; they were actresses, coordinators, and members of the sponsors or communication team. Volunteers made it possible, driven by the extraordinary dynamism and strength generated by the collaborative project! Everyone discovered a creative, cultural and non-commercial universe, not business, but human-driven. At the same time they developed new skills, and experienced an enthusiasm that went beyond their expectations! “Everyone came looking for something and everyone found something”. From the performances, 99 women opened the door to curiosity and questioning. In particular, a number of the audience claimed to have interesting things to say and share, and stated they would like to take part in such a project: men ! Questions were asked about the stories behind 99 women: did they come from real lives? Are they the real tales of each actress? With these observations and new ideas in mind, Marguerite Deperrois convinced Geneviève Flaven to consider launching a new project based on her original idea… and so, the 99 project was born.